This is a clear and authoritative introduction to infant development. 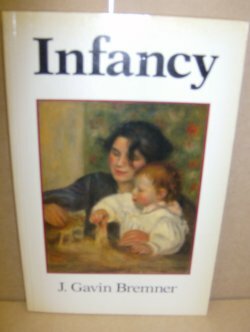 The book moves with logical progression through chapters on perceptual development, cognitive development, and social interaction and development.Although adopting the traditional format for infancy texts, Bremner convincingly shows how current theoretical views call for the reformation of these traditional ways of categorizing infant ability. He reviews the debate at the heart of the subject between views of Piagetian constructionism and biological "ecological" theories, elucidating the competing views and addressing the implications for future research that arise from them. This book provides an up-to-date overview of the subject for undergraduates, and serves as a post-introductory course text.Signed by author on inside cover.Slight fading to covers.257pp.